of navigating that first year following his death. To bring freedom to grieve as you can and as you need to. To help provide hand holds for those journeying with grief to help steady them on the journey, help those grieving to know what they are experiencing is unique and yet also normal. To gently remind you on the grief journey that you are not alone but God is with you, God is a in-it-with-you God, a God who loves you, weeps with you and nothing can separate you from God, from God's love and thus you are free to interact with God in unedited freedom and honesty. To equip others so they can be a life giving, helping presence rather than inflicting additional unintended pain and sorrow on those who are already suffering. 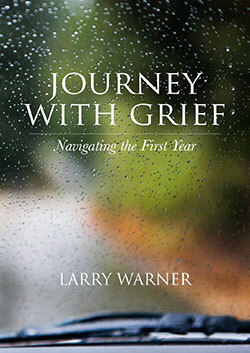 The following link is for the meditation found on pages 84-85 in Journey with Grief. Please find a quiet comfortable place where you are not likely to be disturbed and when you are ready click on the link below. Below you will find additional poems that I wrote following Nathan’s death that are not found in Journey with Grief. I wrote these poems in the days, weeks and months following my son’s death. They are not cleaned up, but are honest and raw. I share these with you who have suffered loss in the hope that it will encourage you to be open and honest with God…free to express what you truly and most deeply feel… remembering that nothing can separate you from God’s love for you . . . not your anger, questions, confusion, frustration…nothing!